Taking care of our physical and mental health will ensure that we have the best chance of living a long and healthy life. 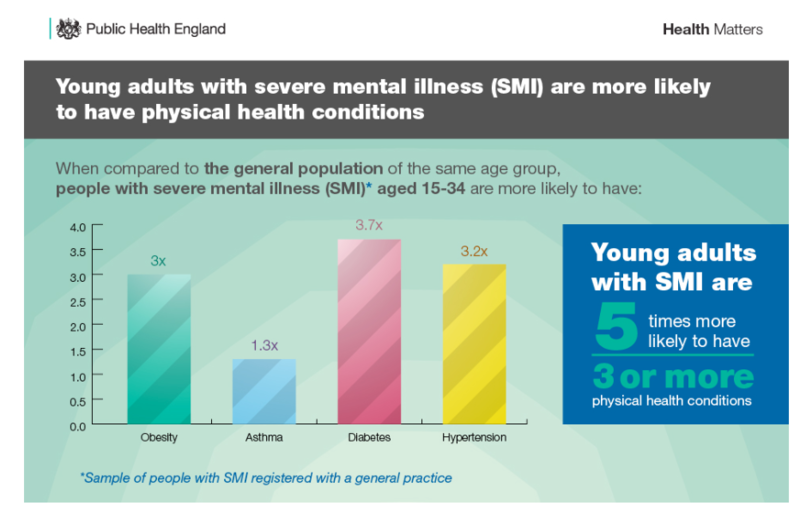 However, people with Serious Mental Illness have a significantly higher risk of developing life limiting illnesses. All mental health staff need to have a good understanding of the risk factors to developing diabetes and how to take care of their own physical health as well as the health of service users. Diabetes prevention week is an opportunity to consider making positive changes to our own physical health as well as consider the particular needs of mental health service users. 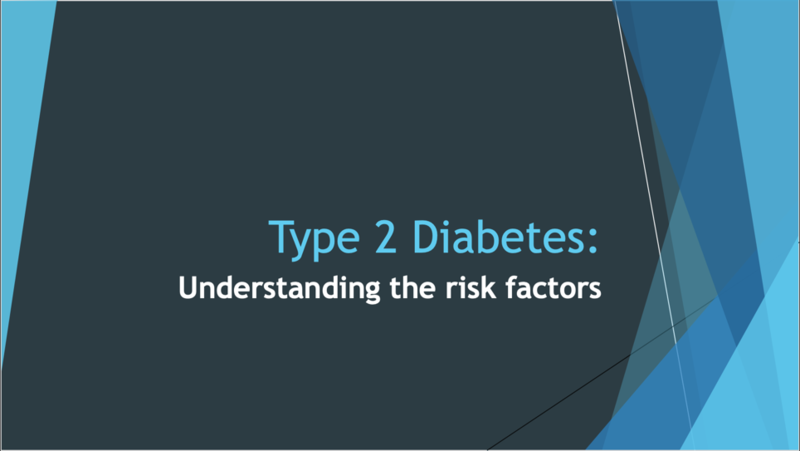 Perhaps you would like to know more about your current risk of developing Type 2 diabetes and what can you do to reduce that risk? Click here to find out your current risk of developing Type 2 diabetes. Type 2 diabetes is a serious condition where the insulin produced by the pancreas is not working correctly or the pancreas is unable to make enough insulin. About 90% of people with diabetes have Type 2 diabetes. It can come on slowly and the signs may not be obvious or for some there are no signs at all. There are over 12 million people in the UK who are at risk of developing Type 2 diabetes. Although there is nothing we can do to prevent Type 1 diabetes there is a lot that can be done to prevent the development of Type 2 and it is estimated that around 3 in 5 cases of Type 2 can be delayed or prevented. How can we reduce these risk factors? Maintaining a healthy BMI and if you need to lose weight the NHS weight loss plan is a good starting place. 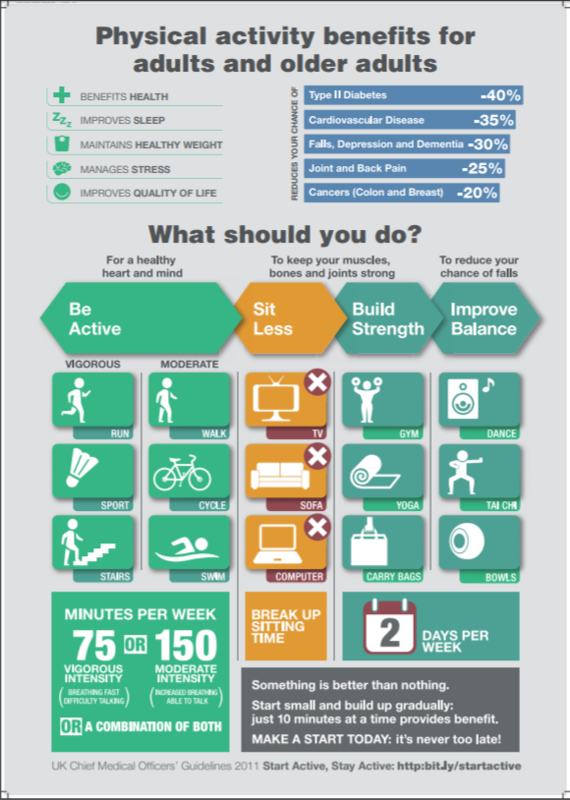 We all know that being active is important – but how active should we be? Adults are recommended to have 150 minutes of moderate to vigorous intensity activity each week and this could be spread out to be 30 minutes x 5 times a week. It is also recommended that we carry out muscle-strengthening exercises twice a week. If we are walking at a moderate pace it would mean that we are slightly out of breath but a vigorous level of exercise will raise our heart rate and we would not be able to say more than a few words without needing to pause for breath. So although a gentle walk in the park is good for us we would need to include perhaps some hill climbs to raise our heart level and challenge ourselves. Reflecting on your own health as well as the health of service users in your service – what could you do that would reduce the risk of developing Type 2 diabetes? Make one small change and consider maintaining a healthy weight, diet and being active. Consider how you could support service users to reduce their risk of developing Type 2 diabetes and if you would like to know more click here.